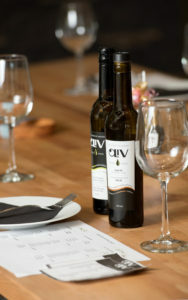 Website: www.olivtastingroomedmonton.com provides original recipe inspiration and information about products and events. Interesting Fact: Tasting parties for groups of eight or more can be booked any night of the week. Guests learn about processing and tasting methods while sampling creative pairings with locally sourced snacks. Few things bring us closer together than a lovingly prepared meal shared with good company. For many, food is a social experience, and anyone who likes cooking, entertaining or just simply eating might find themselves seeking a little inspiration from time to time. Well, look no further. Nestled in the heart of the Shops at Boudreau, the OLiV Tasting Room offers plenty of creative ideas for the novice and expert chef alike. The specialty store sells a unique array of high quality extra virgin olive oils (EVOOs) and rich balsamic vinegars in a variety of flavours sure to please even the pickiest palette. 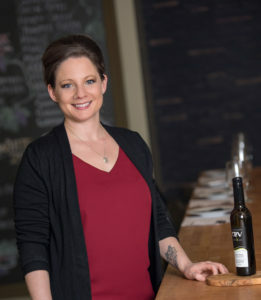 The story behind the OLiV Tasting Room is certainly intriguing. South African entrepreneurs, Awie and Isabeau du Toit, originally moved to Moosejaw, Saskatchewan after Awie was offered a job in the medical field. 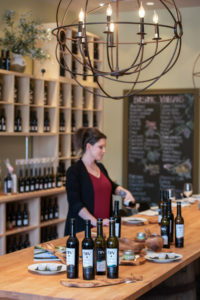 A visit to New Mexico prompted the idea for the retail store, and since the couple already owned property in a wine-producing area of South Africa, they decided to start the venture. Instead of grapes, they planted olives, and the concept of Branch to Bottle was born. Today, there are fifteen locations spread out across Canada with plans to expand to the United States. Alberta’s introduction to the business was initiated when owner Susan Reid was given a bottle of Bergamot Lemon Balsamic Vinegar as a gift. 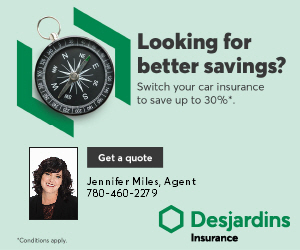 She immediately loved the concept and, together with husband Ian, opened the first Edmonton store in October 2013. 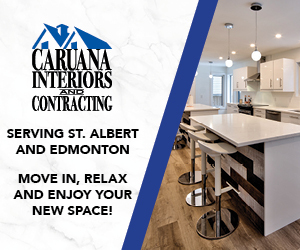 The second location opened in St. Albert the following year. 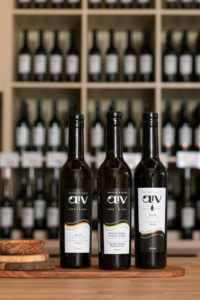 The OLiV business model is distinct in that they control every aspect of the production, using olives from their own farms. And while all their olive oils originate from South Africa, the company cultivates olives from around the world. Customers wanting to explore the quality first-hand can come sample the offerings at any time, and the knowledgeable staff is quick to offer advice on products and pairings. Drizzle the decadent oils on salads and soups, mix them into marinades, stir-fries and smoothies, or use them as a healthier alternative to butter when making popcorn or baked goods. The full-bodied balsamic vinegars—imported from Modena, Italy—bring their own special assets to the table. “Lots of customers don’t realize you can use white balsamic to flavor sparkling water or cocktails, and either the white or dark balsamic is great with fruit or dessert,” explains Reid. Drizzle Smoky Balsamic on hummus, Maple Balsamic on ice cream and Tropical Passion Balsamic in Italian soda for a truly delectable treat. With the right complement, even the simplest snacks can become gourmet—the possibilities are limited only by one’s imagination. Don’t keep oils and vinegars next to your stove or in your fridge. Instead, store them away from heat and light and keep them sealed. Properly stored olive oils can last a year past their listed expiration date. Balsamic vinegars, on the other hand, just get better with age. EVOO is a healthy fat that can provide a number of health benefits. Studies suggest that eating moderate amounts of EVOO every day can contribute to better cardiovascular health, decreased blood pressure and cholesterol, increased brain and mood support, improved insulin sensitivity and better weight management.